Guy's probably paid by commission. This comic is reader supported. To learn how you can contribute to Twogag updating, visit the patreon page. 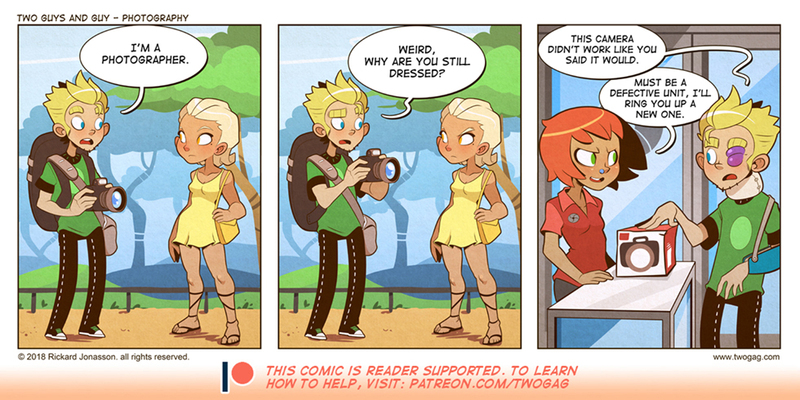 Your support is what keeps this comic going. Twogag has started posting classic strips on Webtoons. It's a good way to start reading from the beginning again.